Previously, Employers could file information with Inland Revenue once a month either in paper form or electronically. This process resulted in significant time delays in Inland Revenue receiving this information. In March 2018, the government announced changes to payday filing processes that will help Inland Revenue offer increased certainty about Employees tax obligations and entitlements. From 1 April 2018 it was optional for Employers to adopt these new processes however, as of 1 April 2019 these new processes are compulsory. Under the old system, Employers filed Employees earnings and PAYE information to Inland Revenue on the 20th of each month. 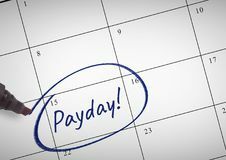 This new process dictates that Employers must now file each Employee’s earnings and PAYE information within two days of payday for electronic filing or within 10 days of payday for paper filing. For example, an Employer who operates on a weekly pay cycle will need to file this information every week. and the payday date itself. Employers should also file information of new and departing Employees including start/end date, contact details and date of birth. This information should be filed before a new Employee’s first payday. If as an Employer your PAYE and Employer Superannuation Contribution Tax (ESCT) deductions are $50,000.00 per annum or more, you must submit this information electronically. If your PAYE and ESCT are less than $50,000.00 you have the option to file either in paper form or electronically. Although payroll software is not a requirement to be compliant with the payday filing changes, as the new processes can be adhered to with or without software, Employers should be aware that software will cover the majority of the changes. In seeking to ensure that your payday filing is compliant, it is now also a good time to ensure that your employment documentation is up to date, and also that you do not have any current liability from incorrect annual, sick, or bereavement leave calculations or from incorrect payment for public holidays. We have recently assisted a number of clients who believed that their payroll system was correctly calculating all leave types, only to discover this was not the case. As the Wages Protection Act 1983 entitles an Employee to make a claim for the previous six (6) year period, it is essential that you have your calculations checked to ensure these are compliant. If you need assistance with reviewing your human resources documentation and/or having a review of your payroll calculations undertaken, please get in contact and we will be happy to help.